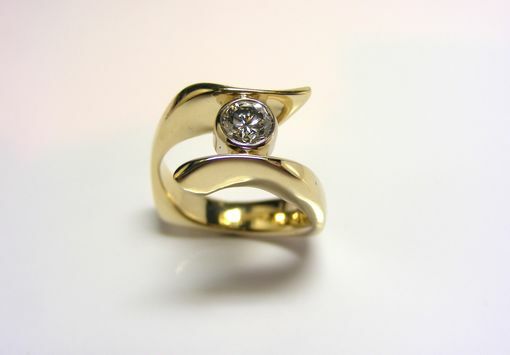 Custom 14ky Gold Diamond Ring. 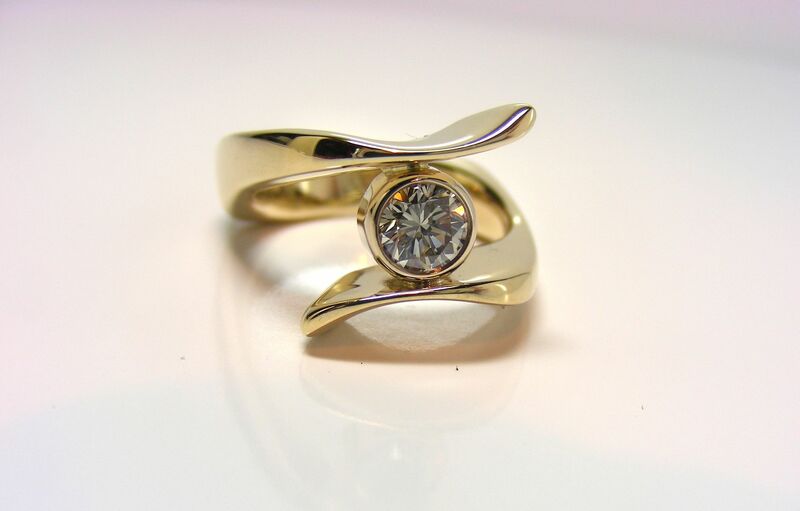 This is a 14k yellow gold ring with a bezel set .55ct round diamond. The diamond is a G color, VS-1 clarity. 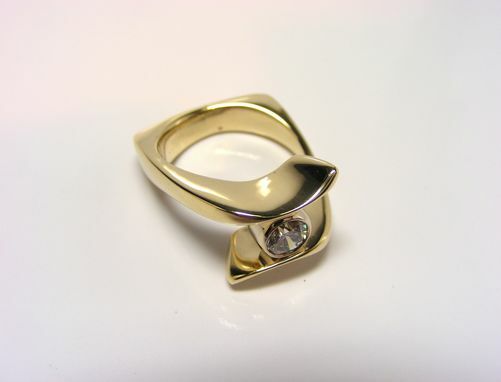 We can easily customize this piece by using a different center stone or in a different metal.